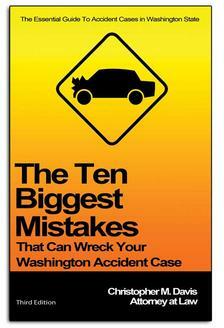 If you are the passenger in a vehicle and you are injured in a car accident caused by the driver of the vehicle you are riding in, Washington state law allows you to submit a claim against the driver and his or her insurance company for the injuries and other damages you suffered in the collision. Assuming that the driver has adequate coverage on his or her auto insurance policy, you may be able to recover financial compensation for your medical bills, pain and suffering, and even any lost wages resulting from your injuries sustained in the accident. The driver or operator of any form of transportation has the obligation to drive carefully and safely, not only to prevent hitting other vehicles but also to prevent injury to his or her passengers. In the personal injury world, this obligation is known as the duty of due care. If the driver fails to use due care for his or her passengers’ safety and the passenger is then injured in a collision caused by the driver, then the driver may be held liable for the passenger’s damages. If the passenger is killed in a motor vehicle accident due to the driver’s negligence, then the passenger’s heirs could potentially have the right to submit a claim for damages against the driver or operator of the vehicle. In these cases, the person who brings a claim must have been financially dependent (or dependent in some other way) upon the deceased person in one form or another. Passengers have rights to be compensated for their injuries in accidents when they’re not at fault. It is also important to be aware of the fact that not only may a passenger have the right to sue a third party who injures them in an accident, but they may also have the right to recover from the driver or operator of the vehicle if he or she were somehow found to be negligent in the operation of the vehicle. 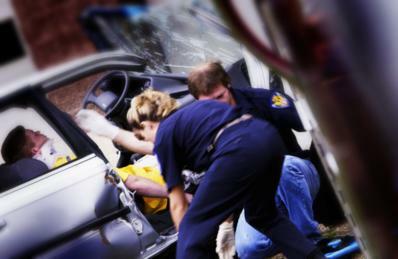 Damages that may result from a motor vehicle accident can take time to present themselves, particularly for passengers. Suppose that at the scene of the accident a passenger feels no pain and thinks they have escaped the collision with no injuries. Then, several days later, the passenger may wake up with severe soreness or even intense pain. It is not unusual for injury symptoms to show up several days after an accident occurs. If this does happen, immediately schedule an appointment with your physician to be evaluated. Medical records are a person’s physical evidence in a personal injury claim, and because of this it is extremely important to document all of the possible damages that may have resulted from a car accident as quickly as possible. In cases where a passenger of a motor vehicle has been significantly injured and is facing a high level of damages, it may also be important to contact an experienced personal injury law firm to represent their legal interests in pursuing a personal injury claim. An experienced attorney will do everything they can to maximize the value of your case and ensure you obtain full compensation for your medical expenses, pain and suffering, lost wages and all other injuries and or damages caused. If you were injured in a car accident as a passenger, you probably have a number of questions about your legal rights and how to proceed with pursuing a claim for your injuries and other damages. These types of cases can be complex, especially given the fact that in many cases passengers are injured due to the negligence of a driver they know - a friend, family member, or loved one. It is important to consult with an experienced personal injury lawyer who knows how to properly investigate passenger accident claims. Call our office in Seattle at (206) 727-4000 or use the confidential contact form on this page to get started with a complimentary case review.